Fabric Mart Fabricistas: Made by a Fabricista: From Paper Dresses to Ponte Knits! Made by a Fabricista: From Paper Dresses to Ponte Knits! We love sharing posts written by sewers in every aspect of their sewing venture. Whether you're just starting out or have been doing it for years, everyone can relate because we've all been there! We are excited to share them because we know they will inspire someone else to make the move into sewing. 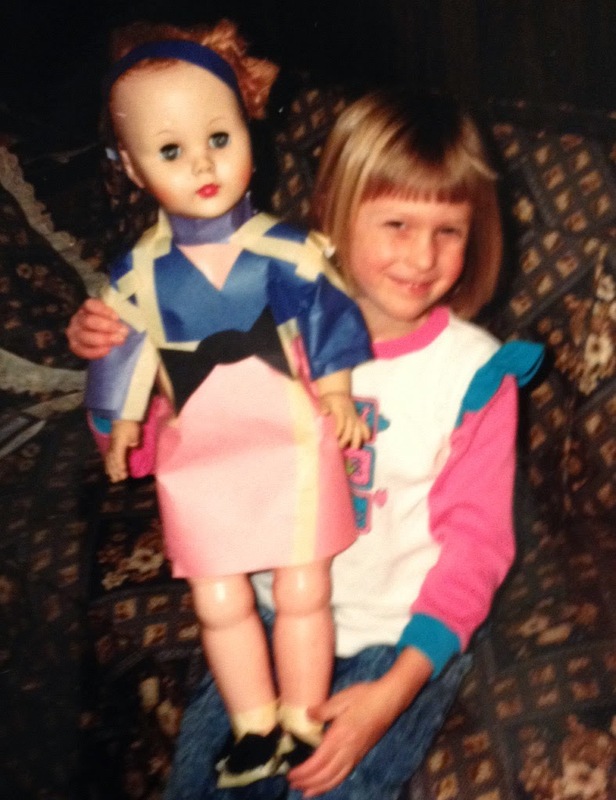 Allison, one of our website assistants, has had fashion and sewing in her blood from an early age. She agreed to share with us her interest from childhood to today, when she created her first sewing project since high school! Thank you Allison for sharing your story with our readers! ~Hi, this is Allison. I work at Fabric Mart working on putting new fabrics on the website. After being surrounded by fabric all day I felt compelled to sew something! This project is my first foray into garment sewing. I have always been a creative person but not so much of a garment sewer. Recently, I found a picture from when I was 5 years old where I created (with some help from my mom!) a paper outfit for my doll. I was thinking about fashion way back then. 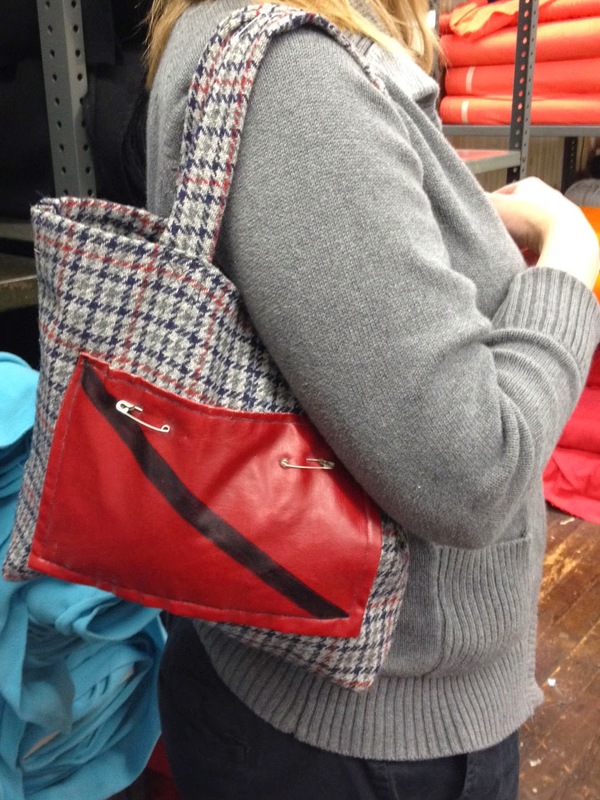 In high school, I spent a lot of time sewing tote bags from recycled materials, like the one below made from a vintage suit jacket. The Paper Dress That Started it All! One of the Tote Bags I Made About 10 Years Ago. I wanted to make an A-line skirt from a stretchy fabric. 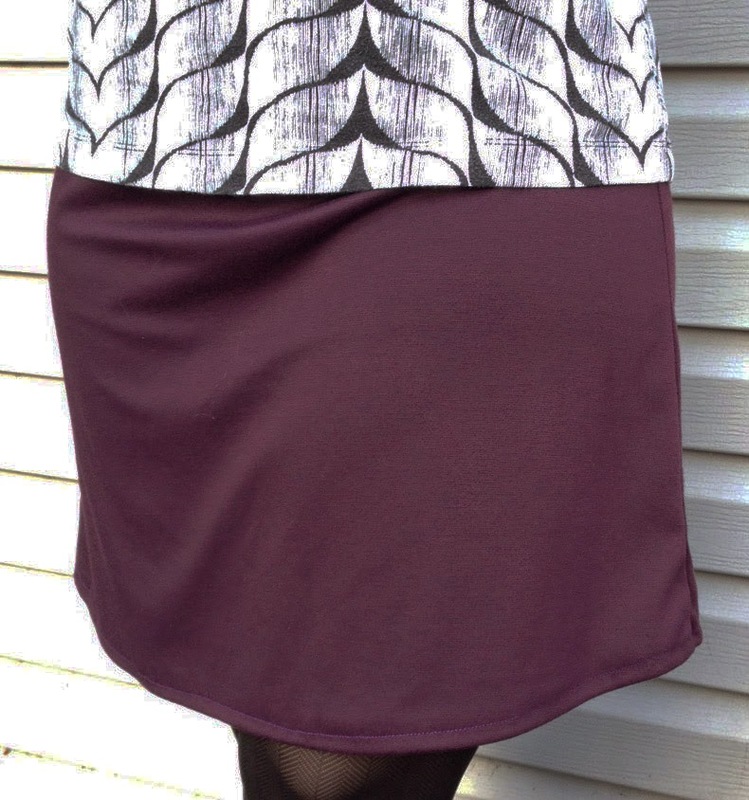 I Googled "Ponte Knit A-line skirt" and came across the blog SEWN. 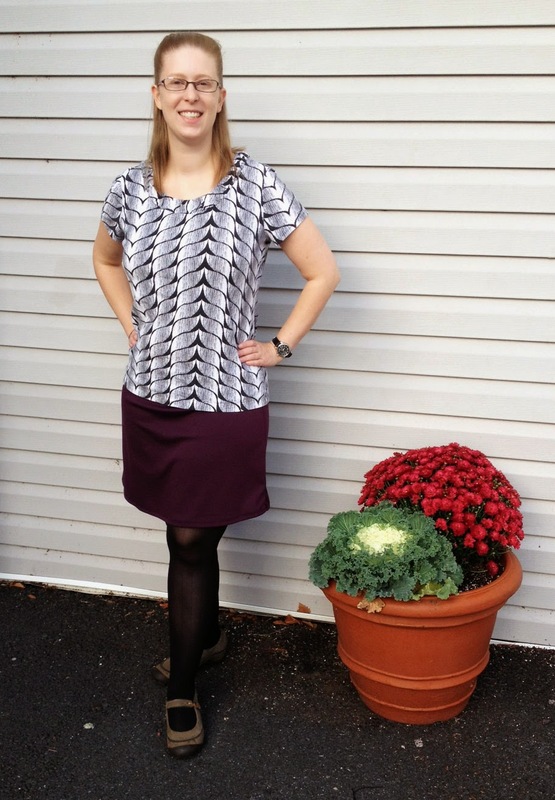 They feature a post on making New Look 6035 with a ponte knit -- check it out here. The pattern calls for a woven, so it's good to take a look at this post beforehand! I modified the pattern by leaving out the zipper and adding an elastic waistband. This was my first time working with ponte knit. It sews surprisingly easy. I used a ball point needle and a stretch zig-zag stitch. The most difficult part was cutting out the pattern in the correct direction of the grain so the skirt stretches with the body. I also folded the waistband the wrong direction and had to take it out and re-sew it before putting the elastic in. I really enjoyed this project. I realized that making a skirt was not as intimidating as I thought and that ponte knits are really great for beginning sewers. I definitely plan to make this pattern again in other colors! Thanks Allison for sharing your story! If you would like to share your sewing story with us, email fabricmartblog@gmail.com.